And just like that, it is Spring again. My goodness I’m ready for some sunshine, and a little bit of warmth in the air. And no rain. Please no more rain (for a few weeks anyway)! It seems strange that to be saying that after such a dry Summer and Autumn. There was even talk of the dreaded “D” word floating around for a while. But not now. The ground is soaking, there is mud everywhere, and the grass is, at last, growing. The days are getting longer, and my jonquils and daffodils are all flowering. Yep it’s Spring. With the return of longer days, my interest in cooking and creating has also returned at last. 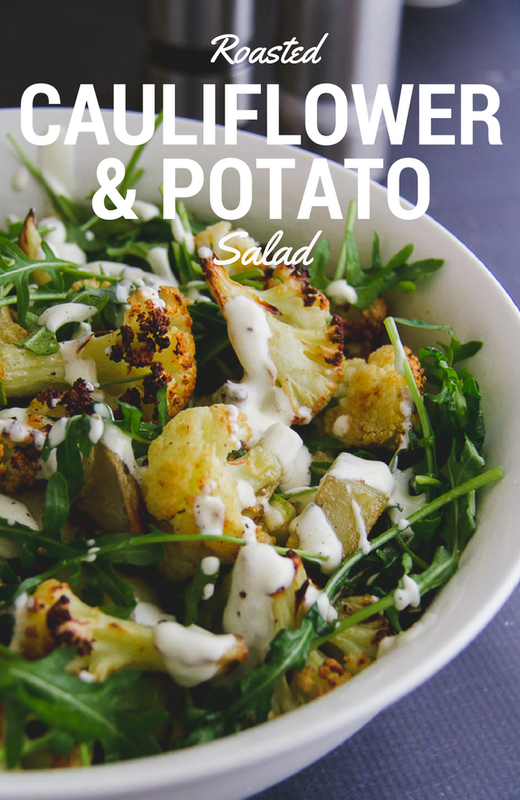 We are trying to be a little creative in eating the last of the winter vegetables before it’s time to pull them out, so I whipped up this delicious salad to take to friends for dinner on Sunday night. A few weeks back, a few of my old school friends and I went out for lunch in Sydney. We are all turning 40 at the moment, and so it seemed like an ideal opportunity to get together and celebrate many years of friendship. 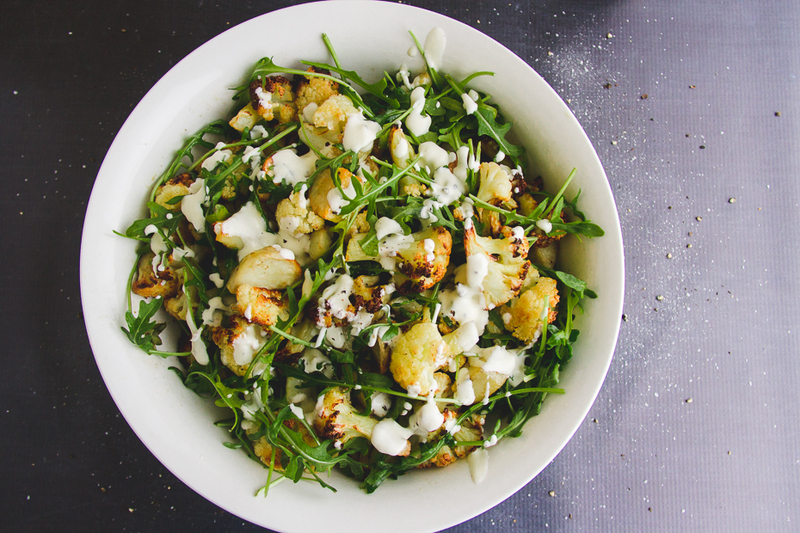 We treated ourselves to lunch in Sydney tower, where I tried a delicious roasted cauliflower salad. When ever I go out, and find something I love, I spend a few minutes writing down the ingredients I can taste and even take a pic to remind me. When CB mentioned that there were a few cauliflowers needing to be eaten, I had this idea ready to go. I added some roasted potatoes for extra body. You could easily eat this as a meal on its own. Peel and cut potatoes into 2cm chunks. Place potatoes in baking tray and drizzle with olive oil. Roast the potatoes in the oven for about 15 minutes to begin roasting them. Toss the cauliflower, garlic, and cumin into the baking tray with the potatoes. Toss to coat with oil and mix the cumin and garlic through. Return to oven until the potatoes and cauliflower are golden (about 30 minutes). Allow the vegetables to cool. Blend together the yoghurt with the juice of the lemon, and 2T olive oil. Season well. Season the vegetables well with salt and pepper, then toss with the rocket. 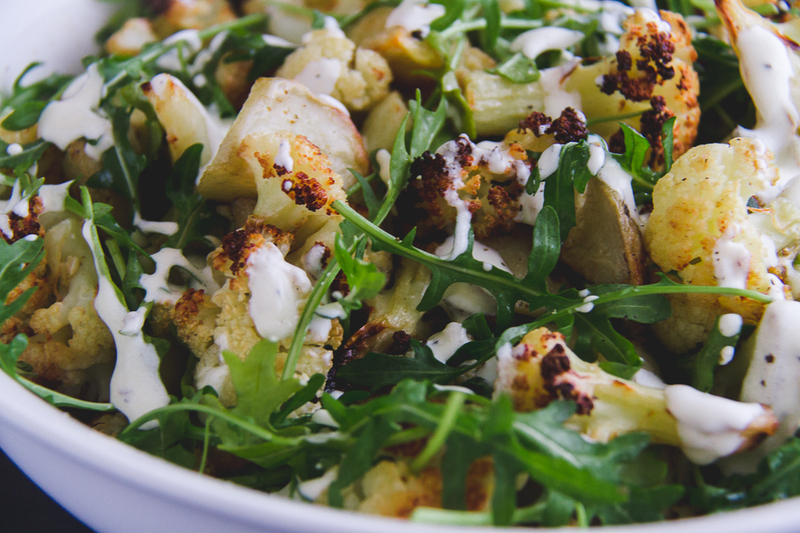 Place in a serving bowl and drizzles the yoghurt dressing over the top. Are you glad that Spring is here (me too!). Got any good recipes for cauliflowers? There is still a few left in the garden! Oooh this looks (and sounds) so good! 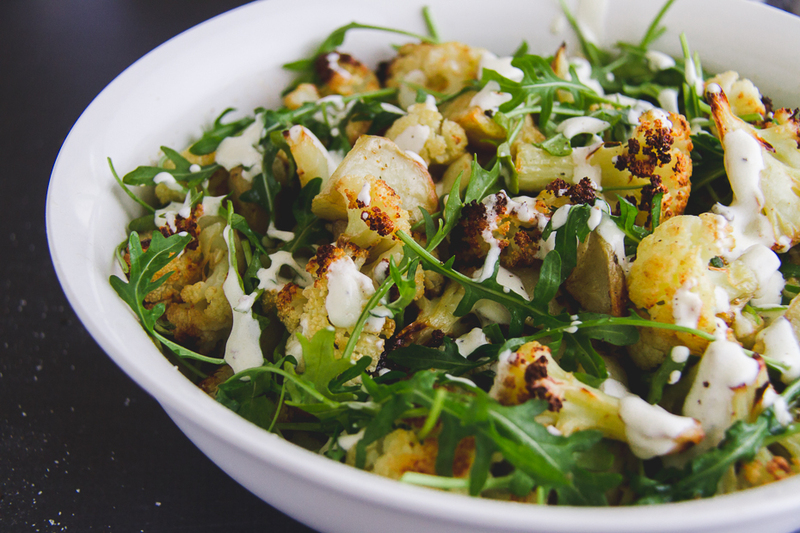 Y U M – we are big fans roasted cauliflower, so I know that this salad would be a hit in our household. I love all the flavours in this salad. Thanks for sharing it with YWF too.